The ever-colorful Wendy O'Sunshyne leads the equally colorful band, i like you. 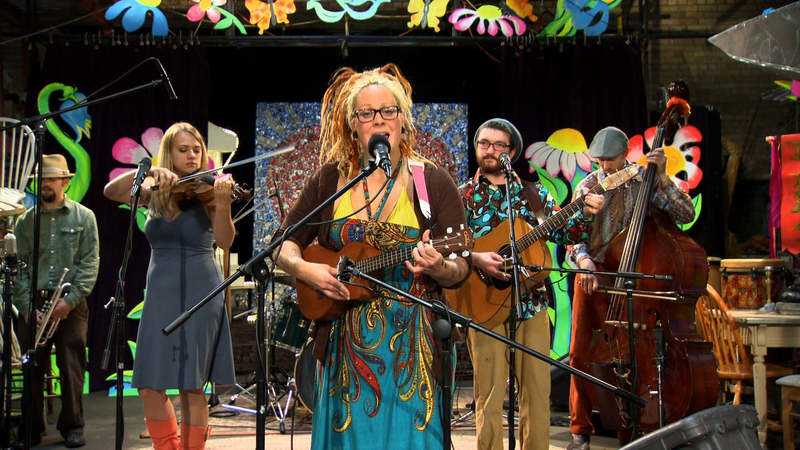 The ever-colorful Wendy Soleil leads the equally colorful band, i like you. The band features a unique and energetic blend of vocals, percussion, guitar, violin, trumpet, upright bass and of course, ukulele. Here, the group performs their lively song New Beginning in Brant Kingman’s North Minneapolis studio.